ITALY BAO (By Appointment Only – www.italybao.com) presents its sister brand Puglia Travel Design (www.pugliatraveldesign.com), our latest project to promote conscious high-level touristic incoming to Apulia, the Italian Heel. “Apulia Living Theatre” is the name of our once-in-a-lifetime experiences designed to guide your clients through Puglia. Thanks to our “Ushers”- flamboyant characters and authentic storytellers (local artists, craftsmen, foodie grannies, fishermen or noble aristocrats) - the guests will be lead through local daily life in a whirlpool of creative and uncommon activities which will make them feel like the main actors of this natural living theater. 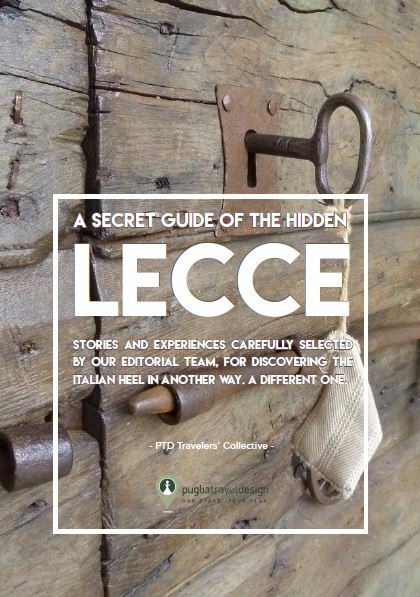 We present here our latest special issue "Hidden Lecce" - download here the connoisseur's pamphlet to let you have an overview of our services in the capital of southern Apulia, in the Salento area.